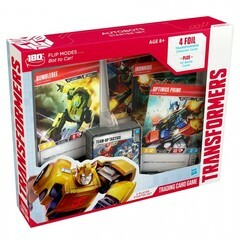 ← Browse Transformers - New! 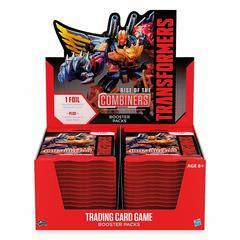 40 Character Cards and 81 Battle Cards are available in Transformers TCG Booster Packs. 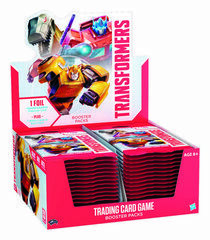 Each Booster Pack contains 1 Foil Transformers Character Card and 7 Battle Cards. 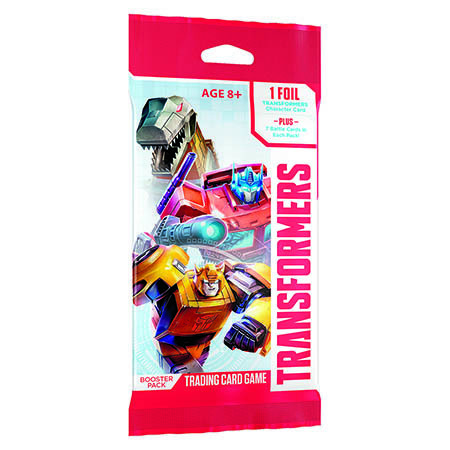 Chance of Super Rare Transformers Character Card 1:79 Booster Packs. Most Booster Packs contain 1 Rare Battle Card. 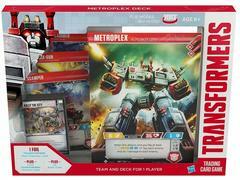 For full gameplay, each player needs a team of Transformers Character Cards (up to 25 stars when stars on Character Cards are added together), and a deck of 40 or more Battle Cards. Available at retail beginning on September 28, 2018, in the United States and later in 2018 in certain other markets.